The airy energy from multiple Aquarius-Libra connections is sure to energize socializing for most of the month. There will be plenty of opportunities to flirt, laugh and enjoy moments with your lover and friends. It’s an appropriate vibe for the month that hosts Valentine’s Day. Feel the love and share your heart! The New Moon conjunct Mars in friendly Aquarius on February 2 can intensify your desire to connect with friends, participate in group activities or better your world by helping those in need. Mercury entering Aquarius on February 3 (through February 20) heightens the progressive, social energy, while Saturn in Libra adds a deeper thoughtfulness to relationships and perhaps a desire for commitment. After February 18, however, watery influences take over as the Sun, Mercury and Mars enter Pisces on February 18, 21 and 22, respectively. It’s all about expressing your sensitivity, spirituality and artistry. You may find your intuition is heightened, too. Although Pisces can help you get in touch with your higher self, it’s also the sign of denial and disillusionment, so be mindful of skimming over what you don’t want to face. In the romance arena, at the start of February, Venus in Sagittarius fires up the fun and adventurousness in relationships. From February 3 through the end of the month, however, Venus in Capricorn will bring a steadier vibe to romance. Viewing love from a long-term perspective is the focus of this earthy influence. Except for Saturn, which is retrograde through June 5, all planets are direct this month, signaling full speed ahead in your plans and projects. However, if you hit a roadblock in a new relationship or business, it might be retrograde Saturn at work. The planet of goals, commitments and challenges encourages you to reassess your long-term aspirations. Also, because it’s in Libra, the sign of love, this particularly applies to your relationships. As mentioned above, the conjunction of the New Moon and Mars in Aquarius on February 2 intensifies the friendly, humanitarian energy for the next two weeks or so. It can also make you unusually antsy for a change in some area of your life. Breaking out of a rut – if you’re in one – and embracing a new endeavor, attitude or perspective can accelerate your personal growth. The sudden onset of rebelliousness or extremism may be the challenge. 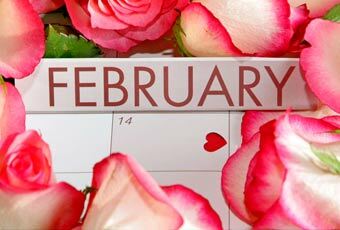 Then romance and creativity take center stage as the Full Moon in Leo on February 18 energizes your playful side. The Venus-Saturn square on the same day, however, may dampen the fires of romance temporarily, or bring up an issue about vulnerability, responsibility or commitment. February 2: The New Moon in Aquarius brings fresh energy to friendships, group gatherings and altruistic activities. February 2: Venus square Uranus intensifies the need for freedom, change and experimentation in relationships, especially for Gemini, Virgo, Sagittarius and Pisces. February 3-20: Mercury in Aquarius favors ideas and discussions about socializing, global issues, group activities, technology and innovation. February 3: Venus entering Capricorn helps bring romance back down to earth by focusing on commitment and responsibility. February 4: Sun conjunct Mars in Aquarius energizes socializing, humanitarian efforts and group activities. February 5: Sun trine Saturn mixes intellectualism with realism to help you take some practical steps to attain a goal. February 6: Mars trine Saturn helps channel undisciplined energy into productive activity. February 6: Venus square Jupiter can infuse romance with optimism, enthusiasm or unrealistic expectations, especially for Aries, Cancer, Libra and Capricorn. February 9: Venus conjunct Pluto intensifies passion, obsession, jealousy or money issues in relationships. February 14: Mercury trine Saturn makes Valentine’s Day an excellent time for sharing your long-term vision for your relationship. Discussing commitment may take love to the next level, if you can avoid the emotional extremes produced by today’s Moon in Cancer. February 17: Sun conjunct Neptune in Aquarius can bring out your idealistic, spiritual or impractical side, throwing practicality out the window. February 18: The Full Moon in Leo energizes romance, creativity and fun. February 18: Venus square Saturn can bring up issues about limitation, commitment, responsibility or deserving love. February 18: The Sun entering Pisces focuses on spirituality, compassion, divine inspiration and getting in touch with your inner voice. February 20: The Mercury-Mars-Neptune conjunction in Aquarius energizes group gatherings and altruistic activities, ideas or discussions. February 21-March 3: Mercury in Pisces favors ideas and discussions about spirituality, healing or making the world a better place. February 22-March 31: Mars in Pisces energizes activities that focus on compassion, spirituality, healing, art or water. February 25: Sun conjunct Mercury in Pisces fires up spiritual, altruistic or creative ideas and discussions. February 25: Jupiter square Pluto intensifies extreme, judgmental or willful behavior, especially for Aries, Cancer, Libra and Capricorn.